Holiness. It means to be “set apart,” to have a purpose determined by God. 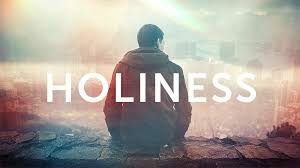 How much is holiness worth to you? They say that a thing is only worth what someone is willing to pay. Craig was a young man, fresh out of college and buried under a mountain of student loans. Having just begun his first job in the city, Craig began flirting with a woman at work. Of course he was a country boy way out of his league—she looked like Heather Locklear on Melrose Place, and he looked like Screech on Saved by the Bell. One day the woman mentioned how much she loved sushi. She said she wanted to try this new sushi restaurant downtown. Realizing his opportunity, Craig asked if she would want to go there for lunch with him. It was a date. Craig’s first sign that things were not going to end well for him was when the menu came without any prices listed. The woman ordered some kind of sampler platter with one of everything; Craig just pointed to some Japanese word on the menu without trying to pronounce it. At the end of the meal, the ticket was delivered: $150. At the time, Craig was living on a weekly food budget of $30. Afterwards, he said that no woman was worth it, that no meal was worth $150, especially when the whole meal was nothing but cold lumps of rice and raw fish. What’s your holiness worth? Jesus of Nazareth died at the age of 33, having lived approximately 12,000 days. The Gospel writers devote most of their work to the last 3 years of his life, or about 1100 days. But the real focus is a single day, his last day—24 hours—beginning Thursday evening after sunset and lasting through Friday. If you knew you had only 24 hours to live, what would you do? Jesus chooses to eat his last meal with his 12 closest followers, and as you can imagine, there are things Jesus really wants to say to them. He pours out his heart in what will be his final words to them, and then he prays. What does he pray for? What is Jesus’ dying burden?